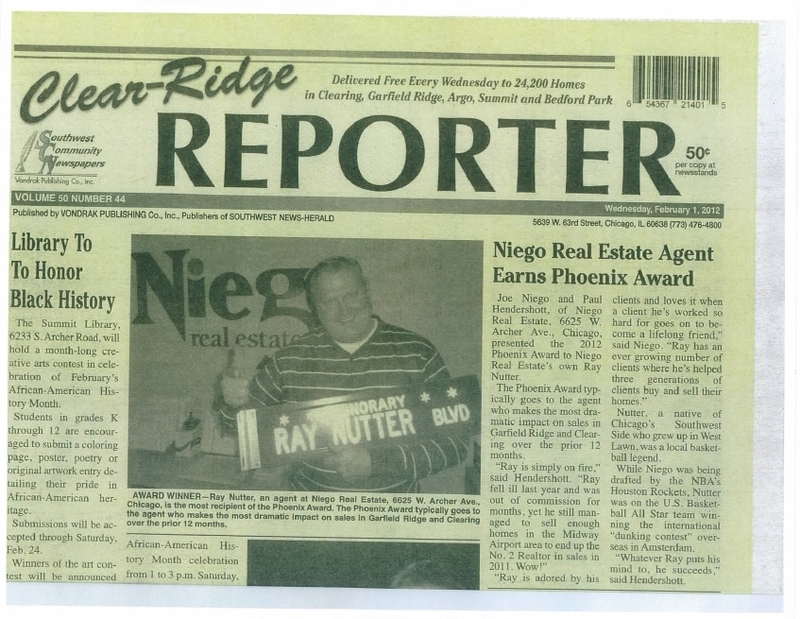 Garfield Ridge/Clearing Top Real Estate Professional Recognized!!! Always excited to see one of my top Real Estate Partners get recognized. Ray Nutter, Top Agent in Garfield Ridge and Clearing, is recognized for his hard work and professionalism. Working side by side with Ray Nutter as a preferred lender, I’ve been able to witness first hand his level of expertise and ability to cater to all his clients throughout the home purchase and sale process. Surrounded with a professional team, Ray offers the complete package! As a partner, we offer expert service from beginning to end. Call Ray today if you or someone you know is looking to purchase a home or perhaps thinking of selling. Ray and I are always available. Click here to get pre-approved today!